I have met with Dr. Liu to discuss my back pain and was impressed with her high level or expertise and understanding of my health problem. I have since visited Element Chiropractic Wellness and received treatment from Dr. Liu, which helped me feel a lot better. I’ve also appreciated a high level of professionalism from Dr. Liu’s staff as well as the quality of the facilities. I would most certainly recommend Dr. Liu & Element Chiropractic Wellness to anyone looking to improve their health. I had been skeptical of chiropractic care, but have come to believe it is very beneficial for my functional health. 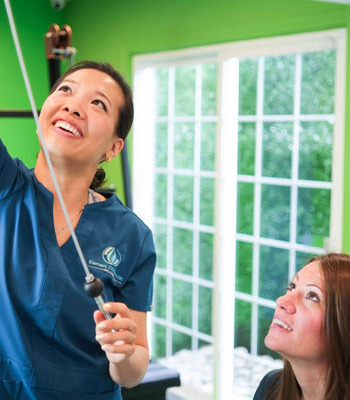 Dr Liu and her staff are knowledgeable and supportive. I especially appreciated the completeness of the initial evaluation and follow up. I started seeing Dr. Liu a number of months ago because of some chronic pain in my neck and lower back. After giving me a thorough evaluation, she showed me what was causing the pain and I have been working with her ever since. Because I was in so much pain, I was very nervous but she put me at ease and is very gentle. For the first time in years I don’t have to worry about trying to work around pain in my lower back and my neck is completely better. She is very knowledgeable, has a great bedside manor and is always genuinely concerned about her patient’s well-being. I would highly recommend Dr. Liu to anyone that is in need of a good chiropractor. She is excellent. She made me feel very comfortable and explained what she was doing as she examined my injury. She even gave me some tips on what I could do at home to help ease the pain. I continue to see Dr. Liu and always look forward to her cheerfulness and informative appointments. I wouldn’t say good I would say great!! Very attentive to my needs after my car accident and the technology and knowledge of the good doctor is unparalleled!! Dr. Liu enlightened me about chiropractic care and that well-adjusted and unstressed body is essential to my health. I felt so comfortable because she took the time to carefully listen to all my issues, answer my questions, and adjusted me only after a thorough analysis of my spine. After my first pop, I immediately felt the difference in my range of motion, posture, balance, and energy! This was a huge relief! Years of discomfort have been virtually eliminated with only a few short visits. I can honestly say that Dr. Liu is one of the most caring, dedicated, and knowledgeable people I have met. I absolutely recommend her! Very knowledgeable, attentive, professional. Definitely a chiropractic I can recommend! Dr Liu is a great chiropractor and an ever greater person. From our first conversation on the phone,she was very understanding and helpful in trying to learn about the pain that I was enduring. She is very professional and informative and never pushes her services on to you. I would recommend her as the chiropractor that will put you on the path to healing! I am very glad that I came in to see her, she is ALWAYS willing to work with you as long as you are willing to work with yourself! During my first visit Dr. Liu immediately made me feel comfortable with her. There’s something very wholesome about her and while we are all in the business world trying to make money I really feel that she genuinely cares about the health of her clients. The best chiropractor I’ve ever been to. I have had chronic back pain for most of my life that causes me many sleepless nights. After just a few weeks of seeing Dr. Liu my pain subsided. I have to admit that i was very afraid to visit a Chiropractor in the first place. Dr. Liu’s approach was reassuring, gentle and confident. With a treatment plan in place I began to sleep through the night and feel much better. Along with chiropractic work, Dr. Liu also advised me on vitamins and eating habits that would help me become healthier and add to my well being. I really appreciate the chiropractic treatment i received from Dr. Liu. I was diagnosed with minor scoliosis in elementary school. 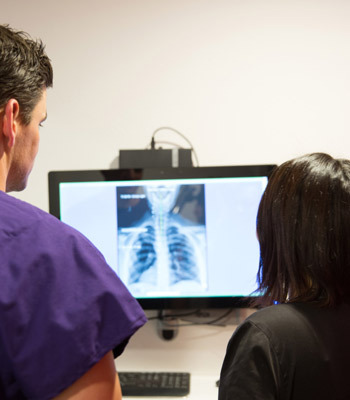 For many years, I’ve been concerned with my posture; Dr. Liu took the time to listen to my concerns and to teach me proper ways to stand up and work my back muscles. She even taped my back to help improve my posture and researched back braces for me. This is the first chiropractor that I’ve felt comfortable talking to – usually, other chiropractors crack my back and have me out of their patient room in about 30 seconds. Welcome to Element Chiropractic Wellness. From the moment you step into the practice, you will be made to feel completely comfortable and at home. With music playing you will feel relaxed and ready to begin your healing and wellness journey. Upon first visit, you will be warmly greeted by our friendly chiropractic health assistant, who will show you around the office, answer any questions you may have, and walk you through what to expect one step at a time. 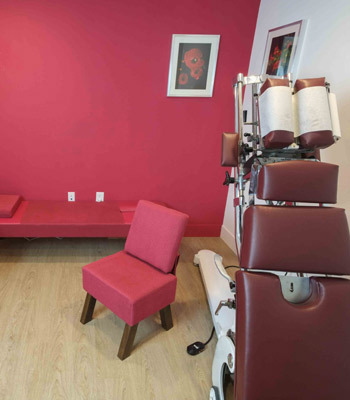 Then you will meet Dr. Liu, where she will have a consultation with you, where you can share your concerns, health history, and see if chiropractic can help you. For your convenience, you can complete your forms online before coming into the office. Please click here to do so. 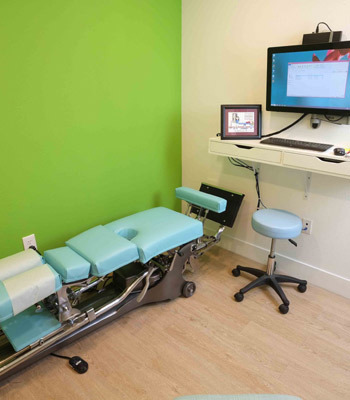 After the consultation, Dr. Liu will perform a complete chiropractic evaluation, which will include Posture Photo Analysis, orthopedic and neurological testing, and x rays, if necessary. Because thoroughness takes time, typically this first visit takes about 45 minutes. This is where we go over your findings in detail, so that you understand what is preventing you from expressing better health. Then Dr. Liu will go over what your goals are and together, you will create a plan to help you get to where you are to where you want to be. Then you will receive your first chiropractic adjustment. Please set aside about 30 minutes for this appointment. We are here to help you reach the healthy lifestyle that you want. Based on your personal goals, we will give the best recommendations of how we can get you there. That being said, coming to our office is always a choice! To keep her patients informed about chiropractic and other health-related topics, Dr. Liu offers various workshops. She is also happy to provide information about different subjects that may come up. Experience the difference that chiropractic care can make in your life. 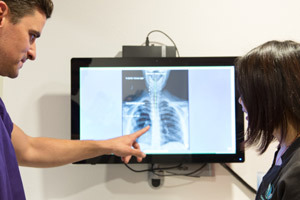 Schedule a same-day appointment with Dr. Liu today.